As I prepared to teach my class ‘Science and Islam’ last spring, I noticed something peculiar about the book I was about to assign to my students. It wasn’t the text – a wonderful translation of a medieval Arabic encyclopaedia – but the cover. 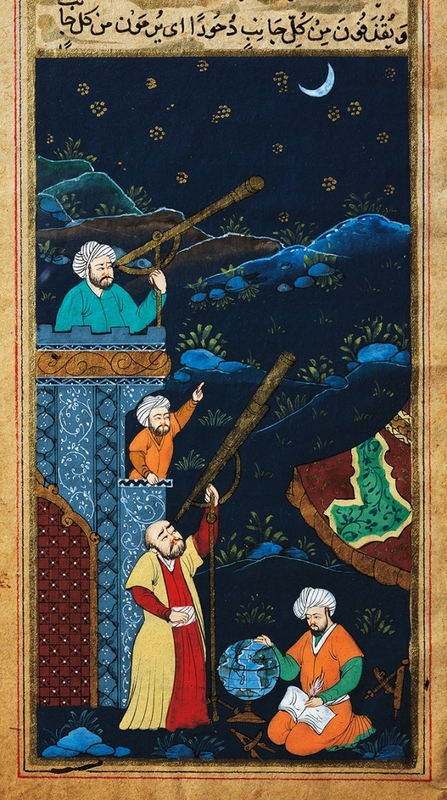 Its illustration showed scholars in turbans and medieval Middle Eastern dress, examining the starry sky through telescopes. The miniature purported to be from the premodern Middle East, but something was off.